I'm sorry about the hiatus but, don't worry; I haven't stopped my rabid consumption of fresh (and sometimes not-so-fresh) hats from my favorite purveyors. It's true that it has been a while since I've hit up this blog. Hopefully you haven't forgotten about me -or perhaps worse- the fitted hat game! This is why I wanted to mark my return by sharing one of my favorite hats of all time: a 1992 Seattle Mariners cap! To me, this cap evokes so much nostalgia because it reminds me of one of my favorite baseball cards from that era: Ken Griffey, Jr.'s 1989 Upper Deck rookie card! Look at that smile! Look at that bling around his neck! Look at that super-comfy turtleneck! But, I digress. 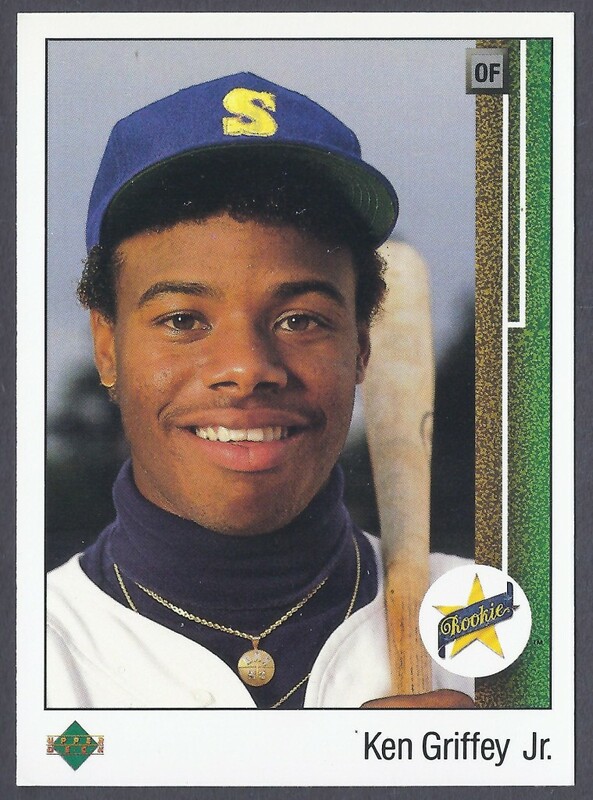 We all knew back then that he was going to be a spectacular ballplayer; however, I don't think anyone could have foreseen the magnitude of Ken Griffey Jr.'s legacy. He was one of the best players to ever wear a major league uniform, or any sports uniform for that matter! It's remarkable that this particular baseball card is how many fans got their first look at Jr. and that to this day, it's probably one of the first things that comes to mind when he comes up in conversation. At this point, I should admit that while I realize that my cap is of the grey-bottom variety, the cap Jr. is wearing seems to be a green-bottom. Firstly, I'm not convinced that he's even wearing a fitted cap in this photo. It might just have been Super Snapback Saturday at the time of the photo-shoot. Who knows? Who cares? 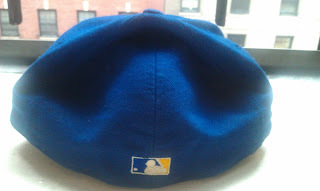 Let us get back to the matter at hand: the freshness of this cap! Just like anything else, the best part of these caps is what's inside! Note the blindingly white lining. So fresh! 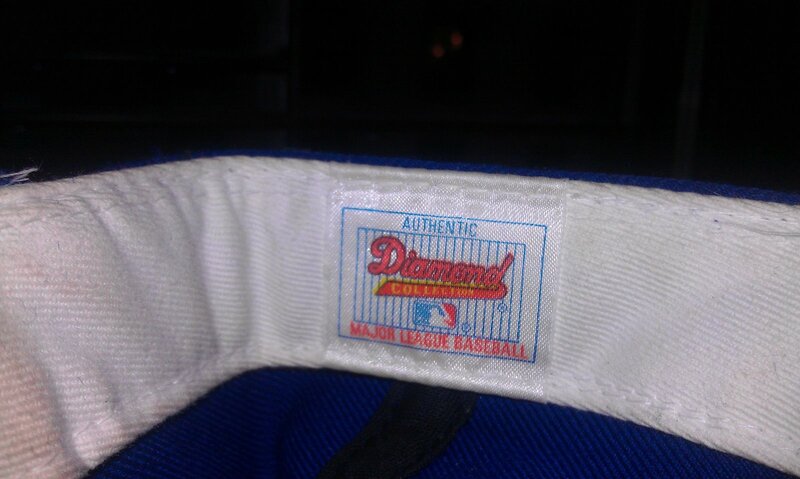 I dig these old-school New Era tags. 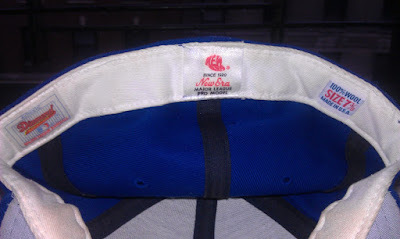 It's true that they don't serve to offer any sort of ancient wisdom but rather, to remind you that this cap is a true relic. You've got to love the fact that these caps used to be made in the United States of America of 100% wool. Well, I guess you wouldn't love it if your hat shrunk when it rained, or that the inside of the cap gets grimy rather quickly. 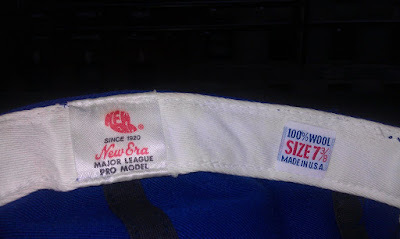 That's why being a fitted-cap hoarder -I mean, "collector"- ensures that you have so many caps that it's impossible to wear one out. This is especially true if you're like me and you have back-ups of the caps that are really special. 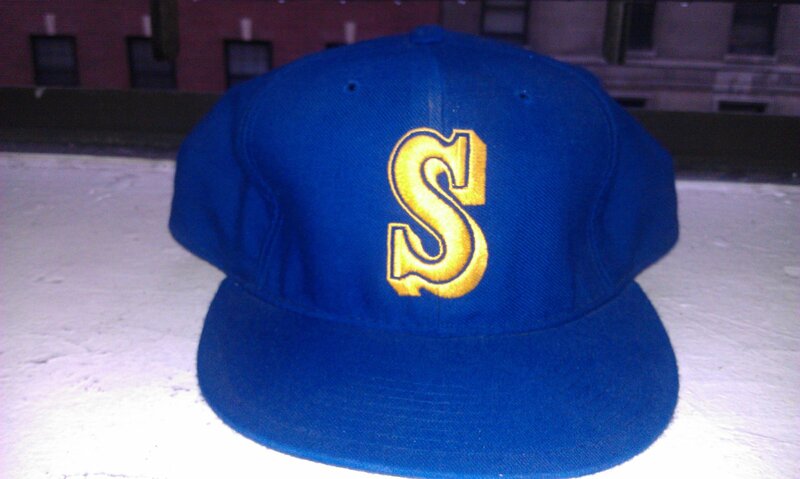 Oh, you thought I only had one Seattle Mariners cap from the early 1990's?!?! 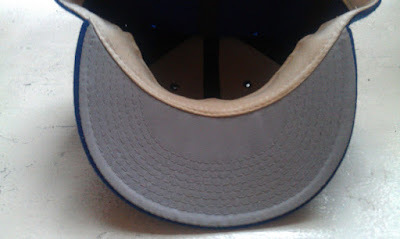 I have to close by saying how much joy it brings me to dedicate this edition of Fresh Fitted Friday to Ken Griffey, Jr., an immortal of the game. I tip my cap to you, sir; however, I must promptly put it back on in order to honor you on this glorious day!